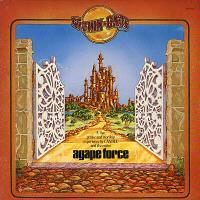 A live praise and worship experience by CANDLE and the entire Agape Force, recorded in 1977. Musicians: Frank Atcheson, Gabriel Arosemena, Mike Milligan, Frank Hernandez, Kathy Salerno. Scripture Reading: Tony Salerno & Raynor Nicholson.